Dichterliebe: POETLOVE in the Triangle! We're thrilled to announce yet another festival screening, this time for the film's North Carolina debut at the Raleigh Film & Art Festival. The festival's focus on the integration of film and art proved a great fit for our film, striving as we did to reinvigorate a beautiful art form through a new medium. Get your tickets now for the October 21st screening! As a special perk for all of our $25+ donors, Dichterliebe: POETLOVE is now available for online viewing and download to these special supporters. General distribution will follow later in the year. If don't want to wait and want to watch the film right now, please feel free to contact us about making a donation. We were grateful for the opportunity to screen Dichterliebe: POETLOVE at two of Boston's premier institutions: The Bard College Longy School of Music, where Professor Brian Moll hosted us and two of his students sang some of the Dichterliebe songs for us; and Boston University, where Maestro Bill Lumpkin and Managing Director Oshin Gregorian welcomed us into the College of Fine Arts' Opera Institute space. We enjoyed a terrific response from the students with lots of great questions and observations. Thanks to both schools for hosting us! Dichterliebe: POETLOVE was happy to continue its classroom appearances with a visit to Westminster Choir College, one of America's leading conservatories for singers, where we were graciously invited and hosted by Dr. J.J. Penna, one of his generation's leading experts on German Lied. Following a screening for his students, Penna, Director David Paul, and the students had a terrific discussion about the two characters in the film, song in translation, and much more. What a pleasure to talk about the film with such an expert audience! We were so proud and happy to show POETLOVE at the beautiful new Steinway Hall, featuring a short introductory performance of several songs from the cycle by Metropolitan Opera mezzo-soprano Sara Couden and our Music Director Renate Rohlfing on one of those beautiful Steinway pianos they had lying around.. Many thanks to Jon Feidner and Clare Avery for helping to put this beautiful event together. Dichterliebe: POETLOVE is partnering up with the world's greatest piano maker Steinway & Sons to present a very special screening/performance event on Tuesday, November 10 at 6:30pm. Come see our film in the brand new Steinway Hall on 6th Avenue and 43rd Street, using Steinway's state of the art sound system and featuring a live performance of several songs from the Dichterliebe cycle performed by Music Director Renate Rohlfing in collaboration with several singers. it will be a special night, in a very special place, that you won't want to miss. 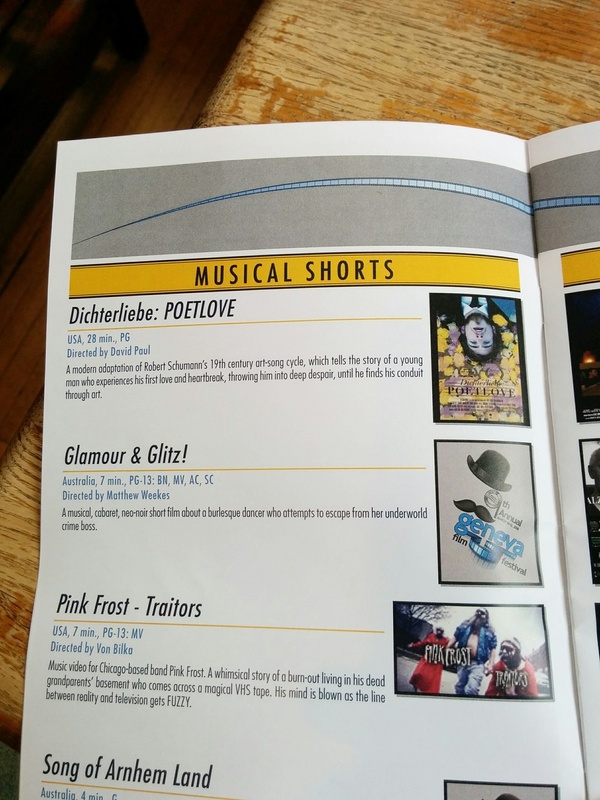 Come see Dichterliebe: POETLOVE in its New-English premiere at the historic Somerville Theater! We're excited to be chosen by the Boston Short Film Festival for its 2016 lineup in a town with more classical singing than probably any other. More info on our Screenings page. Dichterliebe: POETLOVE continues to take the world by storm! 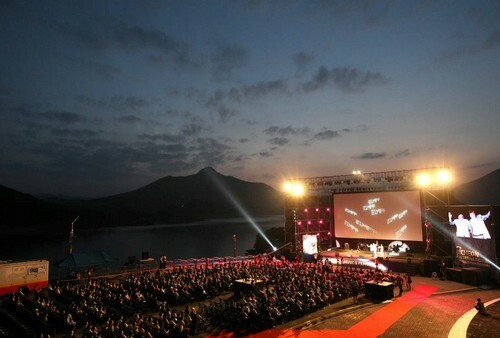 Our Producers recently received an email from the Jecheon International Music & Film Festival, inviting us to screen as part of its "Cine Symphony" series this August. While we weren't able to make it ourselves, unfortunately, we gather the film had a great success at the screening -- no surprise in a country that's known for its love of the classical voice. Thanks to our new friends in Jecheon for giving our film this opportunity! Wolf Trap Opera and the Washington West Film Festival hosted our DC-area premiere this Sunday, and with an awesome turnout, it was a fantastic way to introduce the film to a whole new audience. WTO Director Lee Anne Myslewski, whom POETLOVE Director David Paul first collaborated with in 2015 when he directed Mozart's MARRIAGE OF FIGARO at Wolf Trap, hosted a terrific Q&A discussion after the screening, featuring lead actor Geoffrey Hahn, who spent part of his summer in residence at Wolf Trap. We're looking forward to returning to the area for our screening at the Washington West Film Festival in October. We were humbled and honored to present the west-coast premiere of Dichterliebe: POETLOVE in a very special setting: a screening/performance event hosted by Warren Jones, one of the world's most celebrated and accomplished collaborative pianists. Mr. Jones graced the audience at Westmont College's Porter Theater in Santa Barbara with some wonderful remarks about Robert Schumann, including the poignant observation that, unlike most of his fellow composers, Schumann actually wrote love songs (including those in our film) while he was happily in love. Mr. Jones then performed several of the songs himself, featuring students of his from the Music Academy of the West, before the capacity audience was treated to a screening of the film. it was a truly magical event and we are so grateful to Mr. Jones for his gracious participation. West Coast Premiere is finally here! Dichterliebe: POETLOVE is partnering with the Music Academy of the West in Santa Barbara, CA for its long-awaited West Coast Premiere on July 28 at 6pm. Hosted in beautiful Hahn Hall on Westmont College's idillic Santa Barbara campus, this screening will feature a Q&A with writer/director David Paul. No reservations necessary, just show up! More information on our Screenings page. We're so excited to announce our DC Area premiere with a screening at the internationally renowned Wolf Trap Foundation for the Arts, America's "National Park for the Arts", on Sunday, July 31 at 3pm. Co-hosted by Wolf Trap Opera and the Washington West Film Festival, one of the DC area's premiere film festivals, the screening will include a Q&A with lead actor Geoff Hahn and writer/director David Paul. Click here for information on how to procure tickets -- we hope to see you there! We're excited for our first western festival selection, this time from the Las Vegas Lift-Off Festival. This festival offers online screening series where you can watch our film together with a program of other rated selections. Check out this link for more information! We're thrilled to share this fantastic review by THE DAILY BEAST writer Shawn Milnes and Elizabeth Frayer, after they (and almost 100 others) attended our Manhattan Film Festival screening on 4/18. We really appreciate that they 'got' what we were after, and we can't wait to continue sharing that with more and more people! 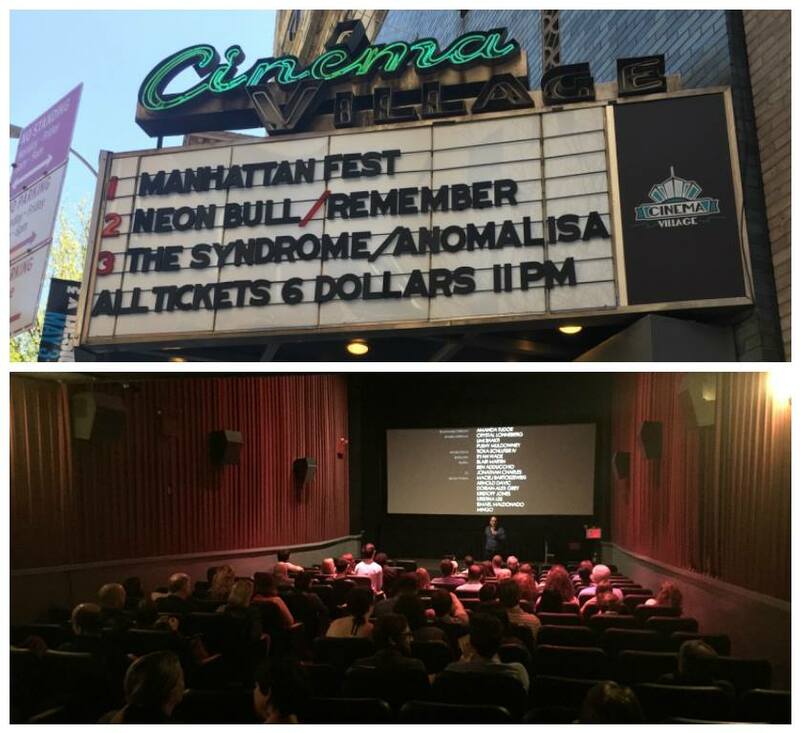 In the mean while, enjoy a few pics from our Manhattan Film Festival experience. We're very excited to announce our first international festival selection - and win! 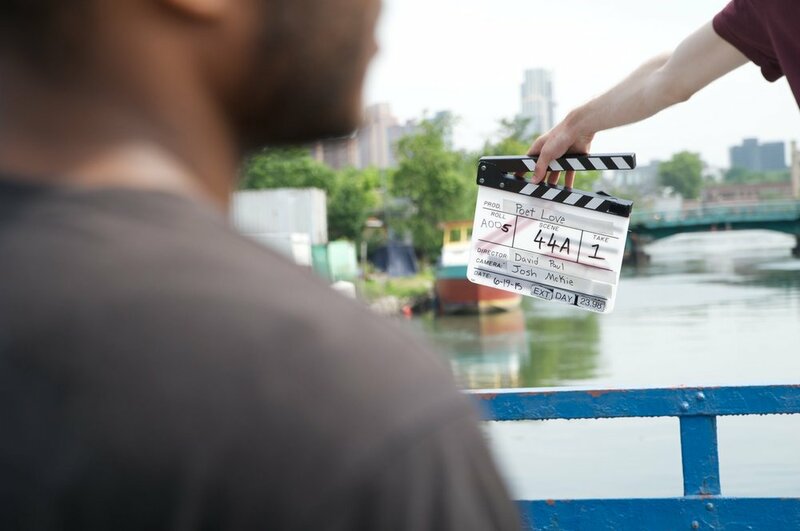 Thanks to the Hong Kong Arthouse Film Festival for awarding us "Best Narrative Short Film". Especially exciting to be one of only two English-language films to win a prize. 3 NYC Festival Selections = 3 upcoming NYC Screenings! Dichterliebe: POETLOVE is coming home to the city where much of it was filmed -- New York, New York. We're very excited to have been selected by the Manhattan Film Festival, the NewFilmmakers NY Festival, and the Big Apple Film Festival for screenings across Manhattan, including screens at Cinema Village and Anthology Film Archives, two East Village stalwarts in the art house cinema world. Please come and check out one of the screenings -- date/time and ticketing details here. Geneva Film Festival: Best Musical Short! 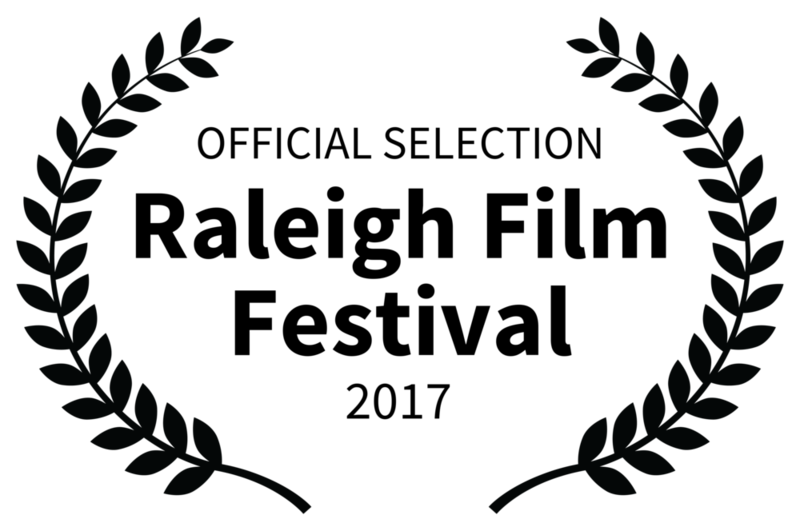 Dichterliebe: POETLOVE is thrilled to be recognized as the Best Musical Short at the 2016 Geneva Film Festival! Director David Paul & Associate Producer Elizabeth Fildes attended the Festival for the premiere screening of the film, and had a great time participating in the Filmmakers' Roundtable discussion, as well as the Q&A's following both screenings. The audience response was fantastic and we're excited to show it to more people in the not-so-distant future (stay tuned for some exciting news in the next few days!). We were extremely lucky to employ the skills of Jiin Choi as Art Director throughout our NY shoot, and true to form, she created a beautiful, evocative poster for us that captures so many facets of our film. Thanks, Jiin! Spring (in February..) is in the air, and we are excited to announce some equally balmy news: our first official selection by a film festival! March 12 will mark our Premiere screening at the Geneva Film Festival. The festival places a special emphasis on music, and we're very excited to be screening there. Feel free to check out their link for more information or click here for screening times and locations if you're in the Chicago area and want to check it out! Happy New Year and Exciting News! This puts us in a very small group of films from all over the world that were selected by the IndieFest panel for this honor. We're so excited to share this news with all of our supporters and hope this provides an auspicious beginning to our festival season! For more information on the prize, check out the IndieFest site.